Drill Bit Countersink-5/16" cutting diam x 7/8" OAL. Hole size 1/8". Used with our drill bits for plastic, these easy-to-use countersink attachments create perfectly flush countersunk holes for assembly screws time after time. Two hex-socket screws hold thme securely in place and adjust for depth to a variety of lengths along the drill bit. 82° cutting angle. Heat treated for long life. Drill Bit Countersink-3/8" cutting diam x 7/8" OAL. Hole Size 3/16". Used with our drill bits for plastic, these easy-to-use countersink attachments create perfectly flush countersunk holes for assembly screws time after time. Two hex-socket screws hold thme securely in place and adjust for depth to a variety of lengths along the drill bit. 82° cutting angle. Heat treated for long life. Drill Bit Countersink-1/2" cutting diam x 7/8" OAL. Hole size 1/4". Used with our drill bits for plastic, these easy-to-use countersink attachments create perfectly flush countersunk holes for assembly screws time after time. Two hex-socket screws hold thme securely in place and adjust for depth to a variety of lengths along the drill bit. 82° cutting angle. Heat treated for long life. 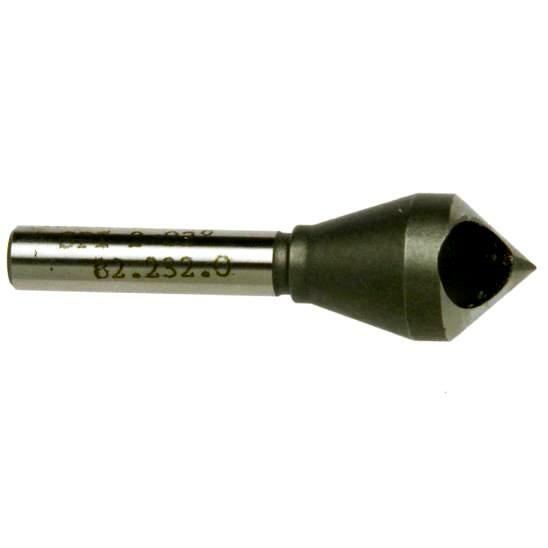 Countersink Bit-9/16"diam x 1/4" shank Make a great finish to a project by countersinking the screw holes. 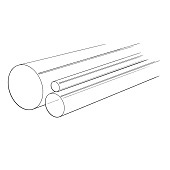 This smooth cutting, V-shaped bit will create an 82° bevel on bolt and screw holes. Countersink Bit-7/16"diam x 1/4" shank Make a great finish to a project by countersinking the screw holes. This smooth cutting, V-shaped bit will create an 82° bevel on bolt and screw holes.